The more I learn, the more I learn how little I know. You would think after 20 years as an illustrator and creative professional I’ve learned enough about making art. But I'm always feeling the wolves of change hard on my trail, and so I try to keep them off my scent by learning new things. It’s not only about learning a new technology or the latest Photoshop trick. 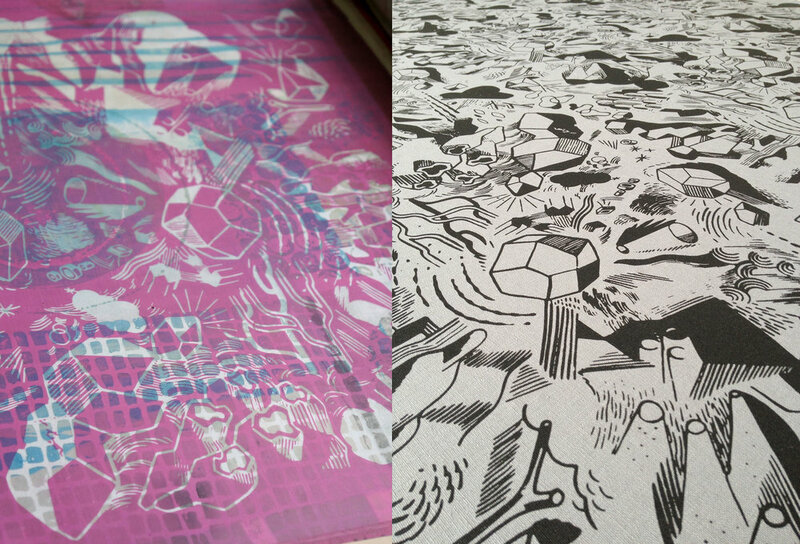 A few months ago I took a screen printing course with surface designer Natalie Gerber. The screen printing workflow actually reflects Photoshop's workflow in terms of layers, masking, opacity/transparency, and such. Screen printing is a medium with history, but it’s not history, it’s still very relevant and it was a good chance to learn from someone who knows how to do it right. On her website Natalie states, "As an artist, designer and maker I am inspired to create functional design for everyday living. While craftsmanship is important to my creative process, so too is function. 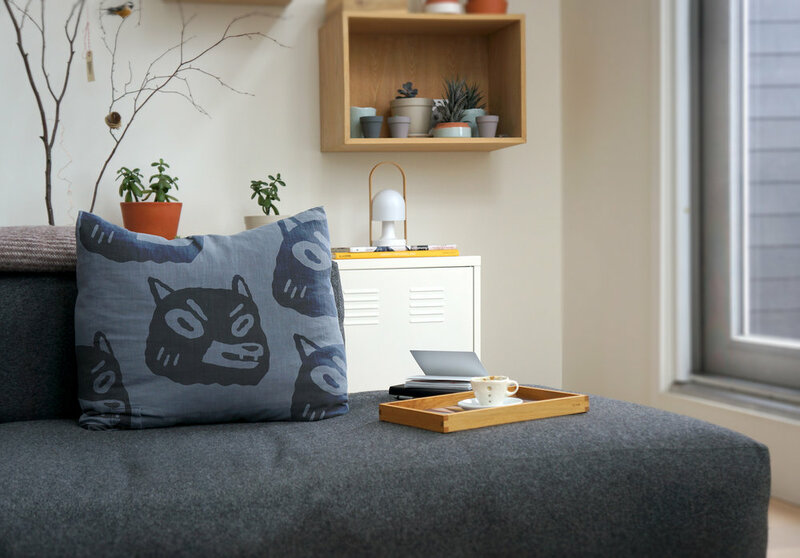 I combine my love for illustration, surface design, clean lines and hand-printed fabrics with conscious material choices and in-studio practices.” In conversation Natalie mentioned that it can be difficult to satisfactorily define what she does to others. Is she an artist, a screen printer, a designer, surface designer, textile artist? 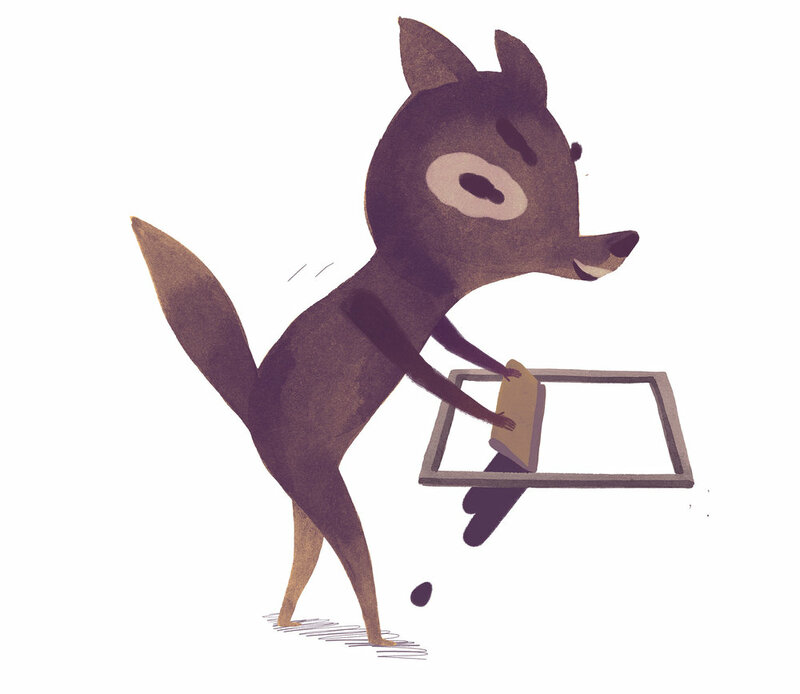 Likewise, describing myself as an illustrator can mean many things. It gives some context but can be confusing to explain. It can be constrictive too, I love exploring a variety of creative pursuits that wouldn't be classified as illustration such as abstraction, typography, fine crafts – even making an espresso. I spoke briefly with a successful designer on this subject, much of his work is illustrative but early in his career he made a conscious decision to call himself a designer. It’s an astute choice, being classified as a designer opens up greater creative possibility. In many ways I feel illustration is a craft too and Natalie’s description of her practice also relates to what I value as an artist. It’s possible to be exacting without being rigid. Learning is just as much about understanding what is inside, as it is about learning from outside experiences. Heading into this class I couldn’t imagine how I would keep the repeated pattern properly aligned!? I expected a very rigid and mechanized system which I don’t react well too. I did have to do a bit of measuring (groan!) but Natalie has established a freehand method of aligning your screen for each print that is comfortably intuitive once you get the hang of it. 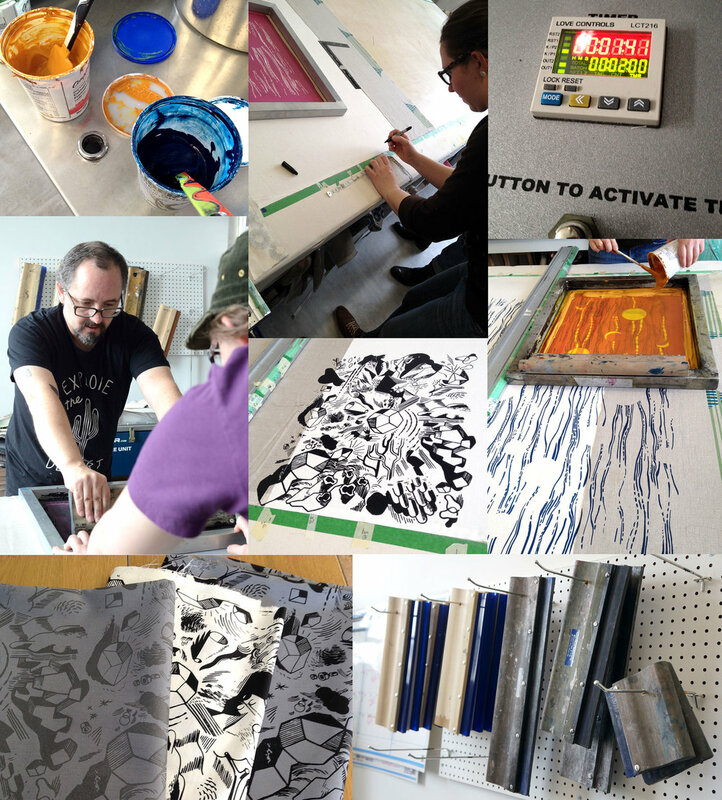 From this experience not only did I learn a specific process of screen printing but a more general creative formula – it's possible to be exacting without being rigid. The description of the surface design course is "In this intimate class you’ll team up with a studio mate to develop and produce your own micro collections. With hands on demonstrations and problem solving throughout the course, you will print two meters of organic cotton/linen and work through the steps from repeat pattern development to screen prep, colour mixing, registration, and finally printing.” True to the descriptor solving problems began immediately with developing a functional design I liked. In trying to do something new, or just be creative, old habits and biases can be a pain. A little research on surface design makes it clear that minimal and simple is powerful – especially when repeated. But where’s the challenge in that, right? How do I show off my skills if I don’t do something overly complicated and difficult! Saddling myself with this arbitrary muddle made it hard to come up with a good repeatable design. For the second class we were to have our design ready (I didn’t) to print a test run. I knew my print partner Heather Reinhardt had her design figured out so I just observed how her print run went. And it went well – for her and me. Heather’s design had a subtle complexity and seeing first hand how the printing of the pattern progressed cleared up my confusion and allowed me to figure out how to make my design work. The difficulty was figuring out how to eliminate the channels that would happen between each print of the design. I came to understand that this can be solved by not having the design flush to the outer edge, so I designed it to have an irregular vignette. And when printing, I overlapped where I laid down the screen so parts of my drawing joined and overprinted. The basic steps in making printed yardage are: create a design, make a stencil, prepare a screen, measure and mark where you will be printing, mix your colour(s), print, and then print again a little further down the line. The great American illustrator NC Wyeth mentioned that when he illustrated a book such as the classic Treasure Island he didn’t focus on the words already on the page, instead he illustrated what was between the lines. I feel like education can be like this. 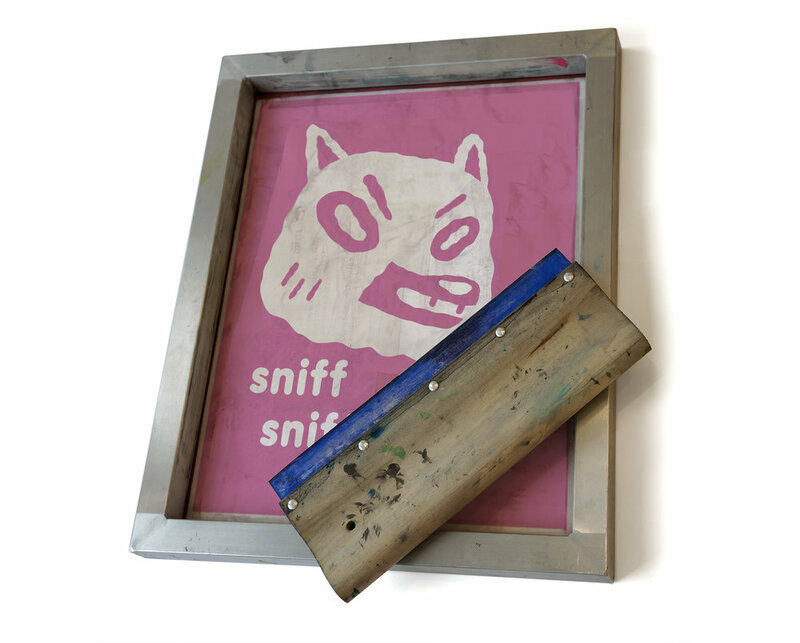 You could find many excellent online tutorials and resources to learn how to do screen printing. But with hands on learning there are details, nuances, and subtle incidents that happen through circumstance that can be difficult to experience through a video screen. And for creating my own art it’s all about those details, nuances, and subtle incidents – or accidents! As an illustrator working on learning how to make picture books I’ve learned that it's important to have a big picture to your story. The challenge is to not to moralize the story, instead have the moral of the story flow naturally from the story. 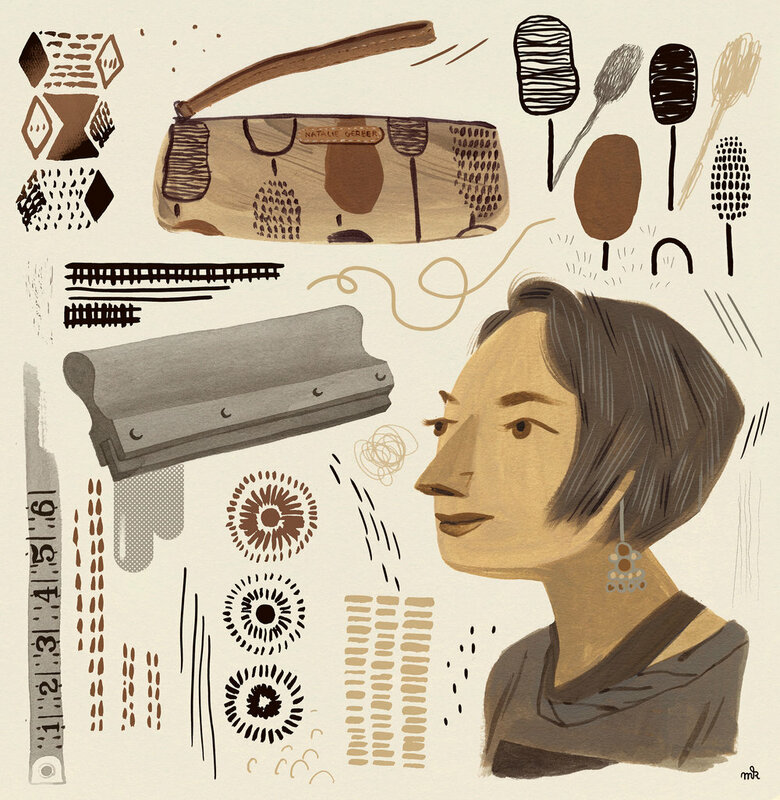 In our mechanized world it can be hard to explain the care, experience, and value of handmade crafts because we are so used to the subsidized prices afforded us through industrialized production. Natalie has stated that a reason for doing these workshop classes is to communicate and educate (even justify) the passion and commitment that infuses handmade crafts their unique significance. And by having students learn this hands on, the lesson becomes a part of their own life story. Even though I know this through my own practice it’s been great to experience another point of view on the subject. The wolves of change are relentless so I've learned to embrace change. If you can't beat them, join them.